The new standard in home fitness! 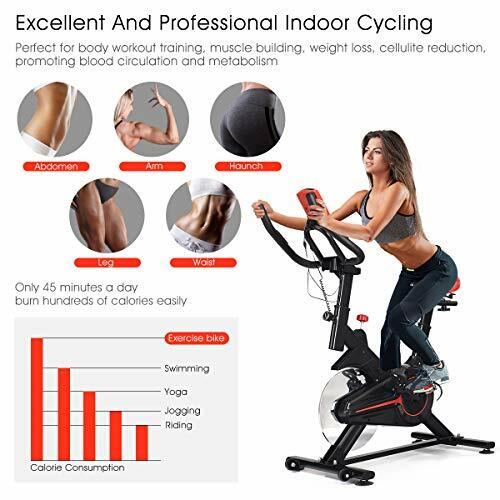 Pro Indoor Cycling Bike offers all of the necessities for an amazing cycling workout along with everything at-home fitness enthusiasts could wish for. 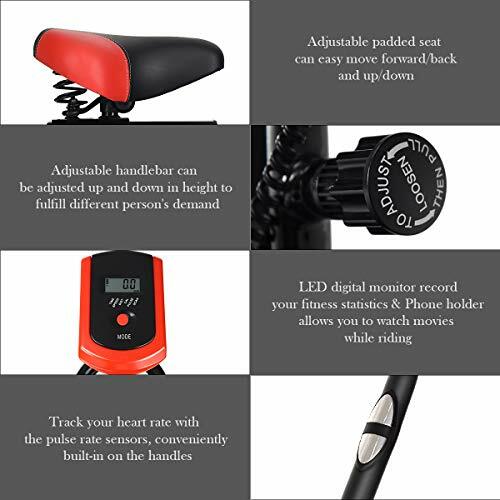 This exercise bike features black, plastic pedal, soft saddle, 4-way adjustable seat and height adjustable handlebar, a counter for time, speed, distance, calories, pulse and scan, a plastic mobile phone holder for entertainment. Combined, the features produce invigorating yet quiet workouts, so you won’t wake the families down the hall while you exercise. 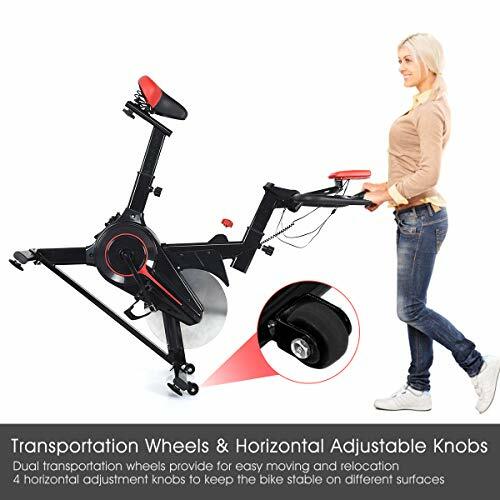 With this bike, exercising in the comfort of your own home will never be so easy, convenient, or fun! 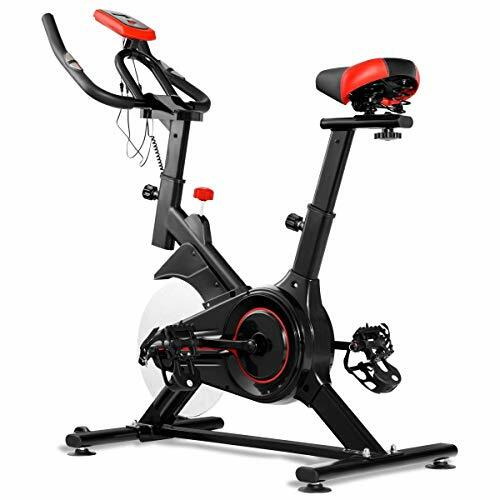 1 × Manual【Heavy Duty Flywheel with Belt Drive Mechanism】13 lbs heavy duty flywheel combined with the belt drive mechanism allows for smooth and quite workouts, ensuring stability to avoid jolting while riding. 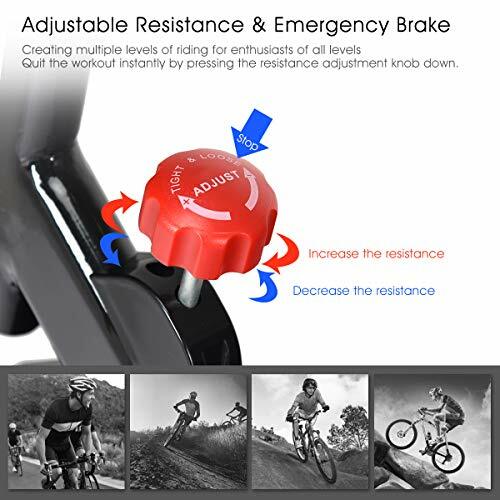 【Adjustable Resistance System with Push Down Brake】There is a convenient adjustable knob, with a simple twist, you can increase or decrease the resistance so your workout can remain challenging and effective throughout your fitness journey, and with a push down, the emergency brake stops the wheel immediately for safety. 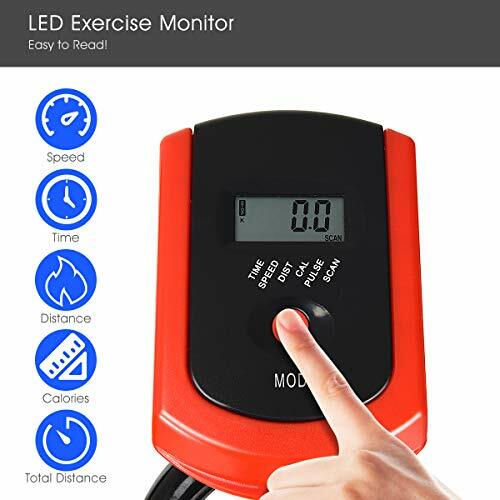 【Intelligent Big Data Perfectly Shows Fitness Effect】This equipment can achieve intelligent data management, it can real-time monitor the time, speed, distance, calories, pulse and scan. Through data analysis to generate training reports, you can adjust your situation accordingly. 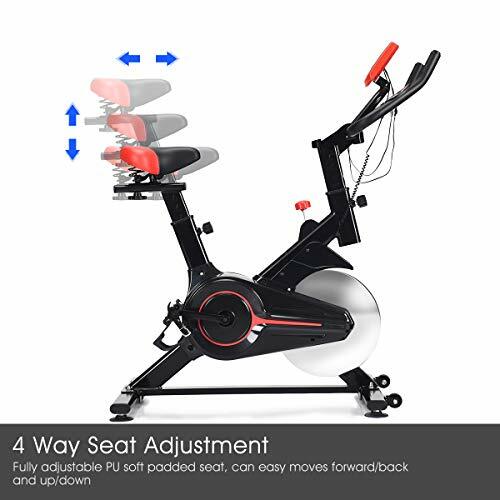 【4-way Adjustable Seat and Height Adjustable Handlebar】4-way adjustable soft padded seat, can easy moves forward/back and up/down. 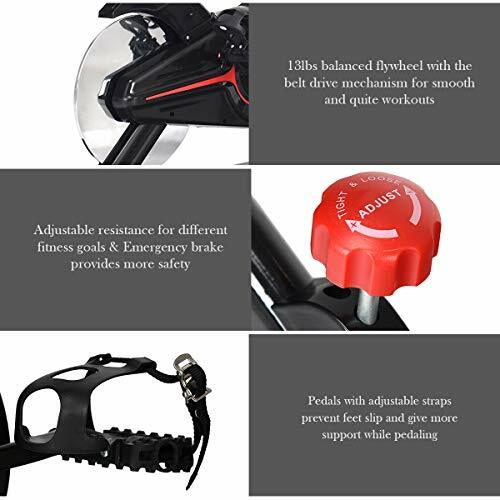 The handlebar is adjustable, and it allows you to adjust it up and down in height to fulfill different people’s demand. 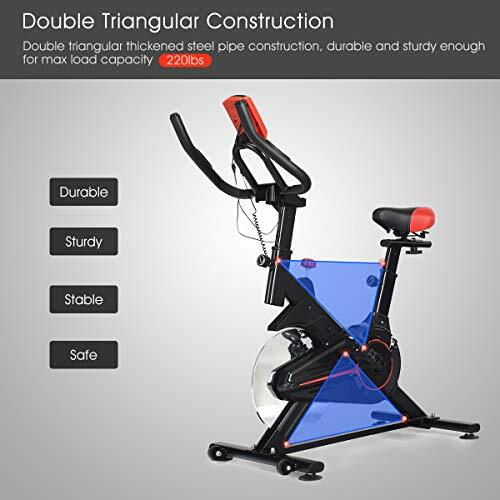 【User-friendly, Sturdy and Safe】This exercise bike consists of reliable, solid parts, made of strong, high-quality materials which can withstand high intensity of use. Anti-slip design and toe straps provide for prolonged safe riding. And it features soft saddle for more comfortable riding.